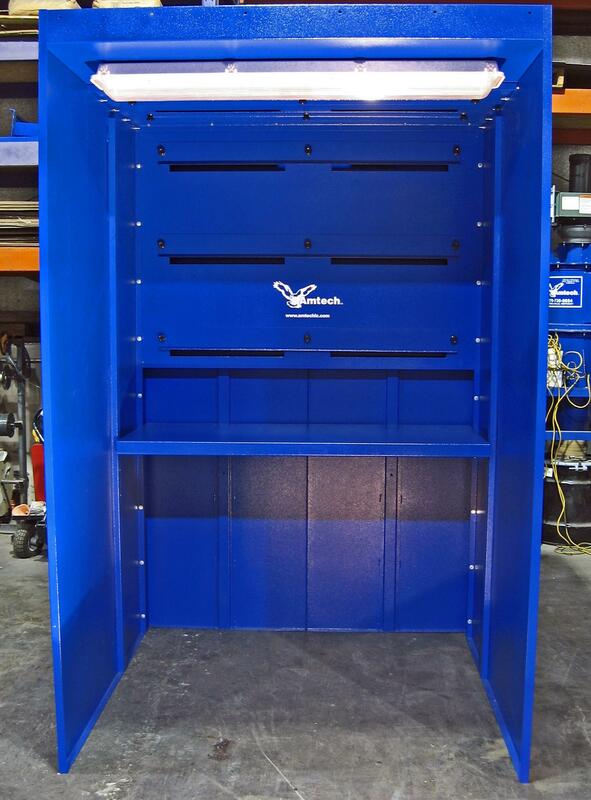 The WS Weld Station is a non-powered booth module that can be ducted to a common central dust collector or exhaust fan. •	Module arrangements can be side to side or back to back or inline. •	Standard unit is designed for 2,000 cfm. Please contact us for alternative custom sizes and cfm’s. •	Adjustable or Removable Table Tops. •	Adjustable Backdraft and Overhead Slots to maximize effectiveness. •	Standard Size 5ft x 5ft. Fast Assembly and setup! •	Welded Construction. Durable Powder Coated Finish. •	Removable Louvers for easy maintenance. •	Capturing dust, smoke and fumes. •	Carbon Steel Welded Construction 14 ga.